The Scripps Research Institute (TSRI) in partnership with IBM’s SoftLayer cloud-enabled World Community Grid makes use of a virtual supercomputer to help screen millions of chemical compounds to identify new drug leads for treating Ebola. This virtual supercomputer is collectively powered by volunteers’ computers, tablets, and smartphones where the CPU (central processing unit) is being utilized when the devices are idle through the use of a safe and free app installed on these devices. Currently, anyone with a computer, Android tablet/smartphone, or an Amazon Kindle Fire tablet, can volunteer their device to help in the cause to find a cure for Ebola. On a computer, first, you would need to go to www.worldcommunitygrid.org and register there. When you register, it will provide you the links to download and install the software to your computer. If you will be using your Android device or Kindle Fire tablet to help this cause (sorry, no iPhones at this time), you can also register on the same site then download the app from the Google Play Store or Amazon App Store, or alternatively, you can download the app first and register from there. On the app store, search for BOINC then download and install it. When BOINC starts, it will ask you to select the research projects that you want to support. 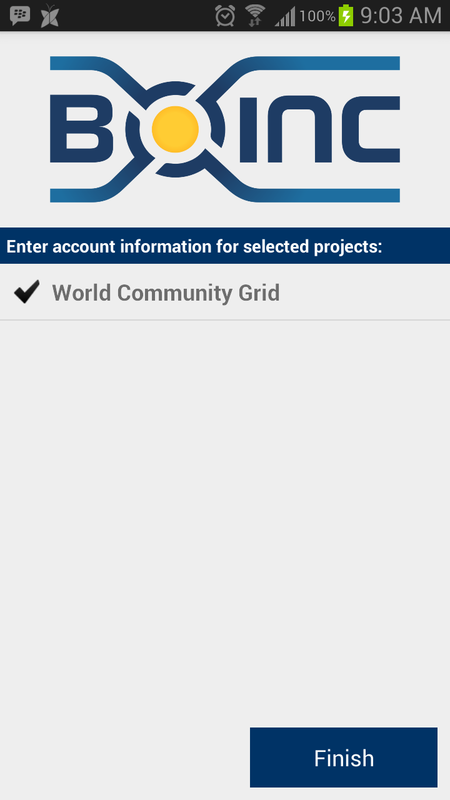 Select World Community Grid, sign in (or register) and make sure you select the Outsmart Ebola Together project. Samsung Power Sleep (lets you participate in only one project, SIMAP; provides a simple alarm-clock interface). Take note that BOINC will not significantly reduce your battery life or your charging time as it only computes when your device is plugged into a power source (AC or USB) and your battery is charged 90% or more by default. Click here for more BOINC FAQ. Without your help, the research could take hundreds of years, instead of weeks or months. So, what are you waiting for? Let’s all help find a cure for Ebola now and help spread the word! Read the IBM Press Release here. This entry was posted in Gadgets, Life, Tech, Web and tagged Amazon, Android, Ebola Research, HTC, Phones, Samsung, Tech.